Unseasonal weather means most mountain passes – including some super-high roads – are still open. Also, winter tyres now mandatory in Austrian ice and/or snow and parts of Italy. 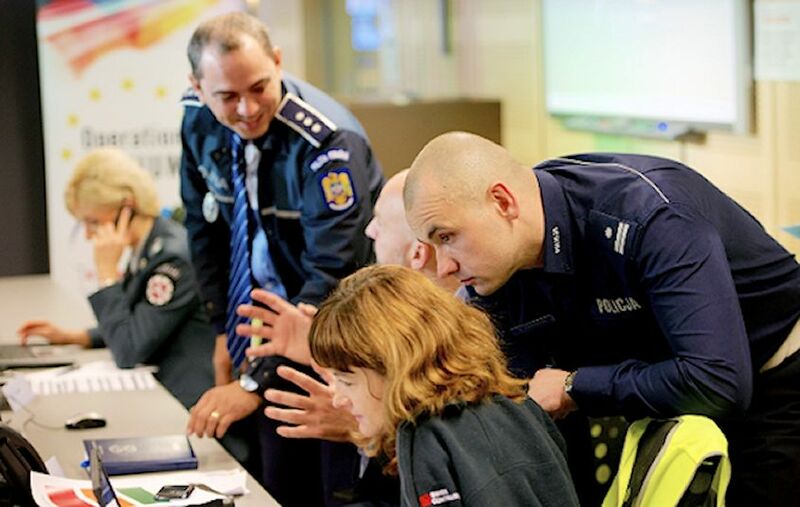 Plus, the results are in from the UK/European police’s road crime campaign. Trouble at the Turkey-Bulgaria border. Cars torched in Istanbul suburb. Drivers in France can now take to the roads from the age of fifteen. Students in Zurich break the word acceleration record. Mild weather means even some super-high roads are still driveable, but winter tyres are a must. 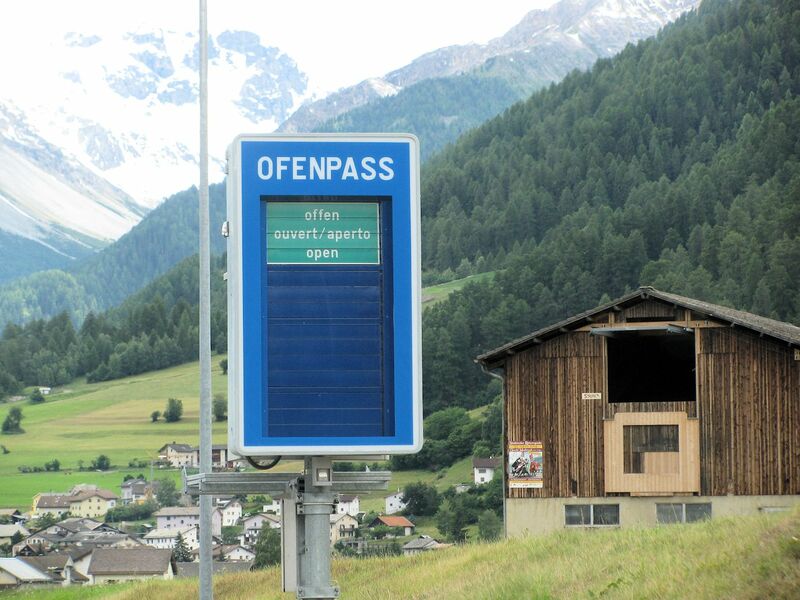 H28 Ofenpass near the Italian border in east Switzerland: Open (Offen, Ouvert, Aperto) as opposed to Closed (Geschlossen or Gesperrt, Ferme, Chiuso). Photo @DriveEurope. Russia is looking forward to thirty five years of severe winter weather with temperatures routinely expected to reach -33⁰C this January. Meanwhile the rest of the Continent braces ahead of a predicted Arctic Winter. So far however temperatures have been quite mild. Heavy rain this week in the Alps, especially the west, may mean more snow at the highest altitudes. Lower down however, the snow which fell the week before last will be washed away (and might even cause major flooding). Low temperatures are not expected generally until mid-November at the earliest. The net effect is that more mountain passes than usual are still open. According to the ADAC’s Alpine Road Report, the only roads definitely closed so far are Great St. Bernard, Furka, Grimsel, Susten and Klausen Passes in Switzerland; Grossglockner, Maltatal and Nockalmstrasse in Austria; Gavia and Passo di Pennes (overnight) in Italy and Agnel in France. Staller Sattel in Austria closes today while Timmelsjoch and Solkpass shut this week. Nufenen, San Bernardino and Little St Bernard in Switzerland, Umbrail and Stelvio in Italy and the super-high Galibier in France (2704m, 8870ft) are all on notice but no dates have been set yet says the ADAC. Meanwhile, from 1 November, winter tyres are compulsory in Austria in wintery conditions, and in mountainous areas of Italy (see more on Winter Tyre Rules Around Europe). While winter tyres (or snow chains) are not needed by law in some countries, e.g. Switzerland, they should be used in all mountain regions. Weather conditions can change without warning. For more on Alpine roads see our PassFinder. roundup: BULGARIA. Complaints from Turkish truck drivers about alleged corruption saw national security agency DANS close the Lesovo border crossing yesterday according to Novinite news agency. It’s not clear if/when it reopens (update: the border point has now re-opened). TURKEY. Seven cars were torched in a mystery attack in Küçükçekmece, a western suburb of Istanbul early on Sunday morning says Today’s Zaman. Meanwhile, vehicle scanners – to detect, among other things, radioactivity – are to be rolled out this year at the country’s 22 border crossing points says Trend news agency. FRANCE. As of 1 November (Saturday) French drivers can get behind the wheel from the age of 15, as long as they are accompanied. They can take the test from seventeen and a half, and drive unaccompanied from age eighteen. Students from Zurich’s ETH technical university broke the world acceleration record today. AMZ Racing Team’s ‘Grimsel’ electric car raced from rest to 100kmh in 1.785s at the military airfield in Dubendorf to the east of the city. The previous record stood at 2.134s, set by students from Delft in the Netherlands. The four wheel drive Grimsel weighs 168kg and produces 200bhp from four in-wheel motors. Combined torque stands at 1630Nm. The top speed was achieved in less than thirty meters. Team sponsors included BMW Group and Caterpillar.